You’ll hear us talking about ‘The Code’ and ‘Code’ landlords a lot, but what does it all mean? Here is a simple explanation which should come in handy when house hunting in January. 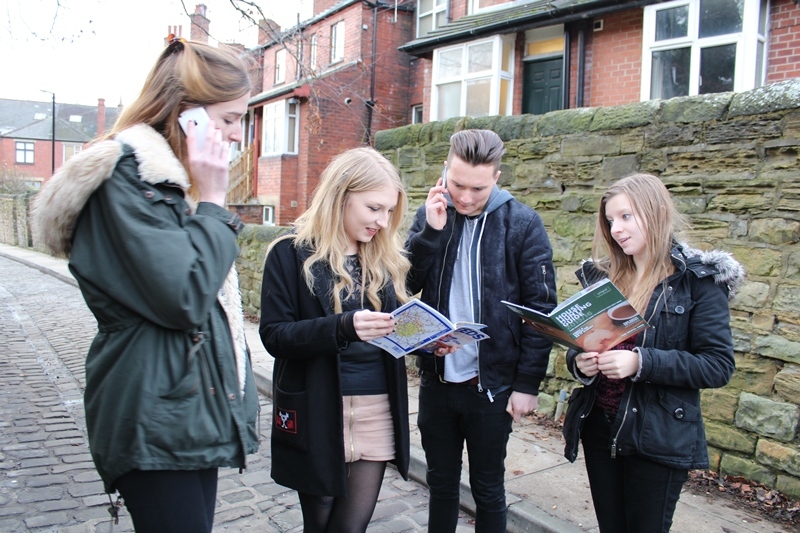 The Unipol Code is a quality mark that landlords join if they meet higher standards, and now there are over 300 members in Leeds, so there’s no need to compromise on your safety and rights; make sure you pick a Code landlord and have a worry-free year at university. Before you book a viewing, visit our Landlord Directory to see a list of landlord members or just ask us and we will be able to confirm. The house will be safe with protection from fire and burglary. 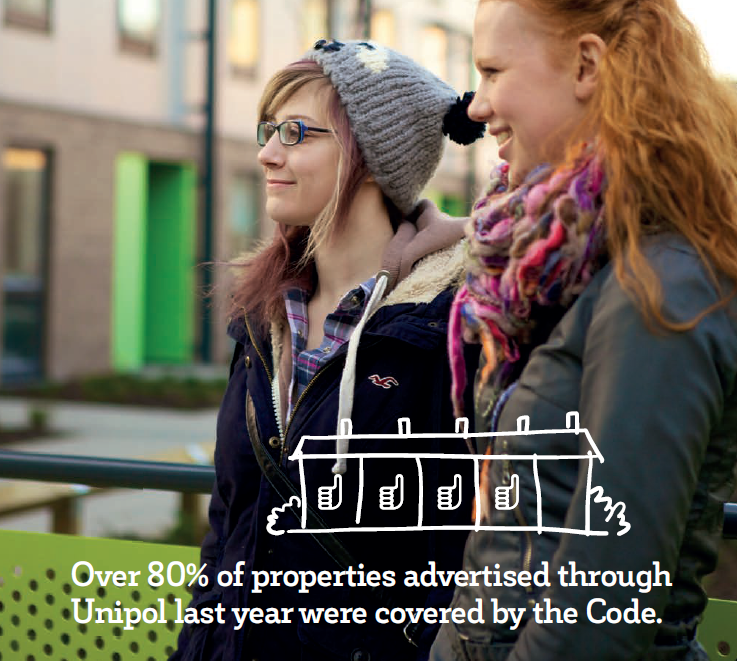 If things go wrong, Unipol can step in and help to resolve issues with Code landlords. There is even an independent Tribunal to make rulings in the case of serious complaints. Full members: All properties are covered by the Code standards. Code Supporters: A managing agent who has at least 25% of their properties in the scheme, and is working towards full coverage. Some properties will not be covered; check with the landlord or Unipol that the property you want to go for is covered. Unipol Code Managing Agent (100% of managed properties accredited): This managing agent will have 100% of their managed properties covered by The Code. This may not cover ‘let only’ properties. See below. Let only arrangements: Only somebody managing a property can join the Unipol Code. 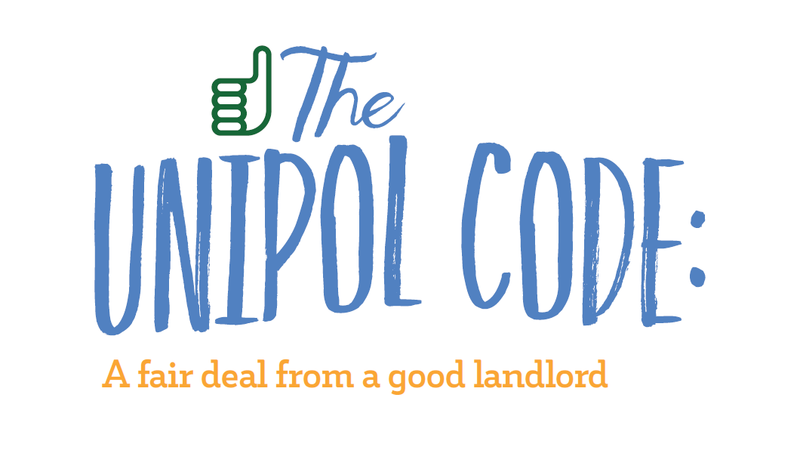 If you rent through a letting agent, check who the manager of the property is and see if they are a member of the Unipol Code. Want to read further? You can find more information and chat to us on our website, or you can pop into our newly refurbished Hub, and one of our friendly members of staff will be happy to help. You can find us at 155-157 Woodhouse Lane, Leeds, LS2 3ED, or in Nottingham at 28 Shakespeare Street, NG1 4FQ.